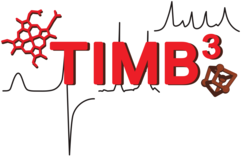 The teams of Physical Chemistry / Biophysical Chemistry (Professor Peter Hildebrandt), Bioenergetics (Professor Thomas Friedrich), and Biomolecular Modelling (Professor Maria-Andrea Mroginski) represent the biologically-oriented branch of Physical Chemistry at the TU Berlin. The three teams constitute the Max-Volmer-Laboratory (MVL) for Biophysical Chemistry and use common infrastructure. 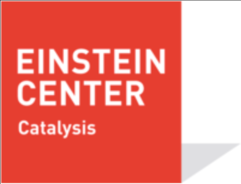 Together with groups of the Ivan-Stranski-Laboratory for Physical Chemistry of Condensed Matter they organise the undergraduate education in Physical Chemistry and offer special courses in biophysical chemistry and polymer and colloid sciences. Research of the Biophysical Chemistry group is focused on the analysis of relationships between structure, dynamics, and function of proteins cofactor-protein interactions using mainly spectroscopic techniques. About 40 people are currently working in the team.